Mayor Ras J. Baraka, Newark native and Tony Award-winning artist Savion Glover, and Newark Arts Executive Director Jeremy Johnson discussed the importance of the city’s arts and culture industry to strengthening Newark’s prosperity at a press conference in City Hall today. City Hall is located at 920 Broad Street. The press conference followed the latest Arts & Economic Prosperity 5 (AEP5) study, which is the most comprehensive economic impact study of the nonprofit arts and culture industry and is conducted by Americans for the Arts. Astoundingly, Newark’s nonprofit arts and culture industry generates $178,328,298 in annual economic activity, supports 4,963 full-time equivalent jobs and creates an additional $15,568,000 in local and state government revenues. In addition, 2017 marks the 20th anniversary of the opening of the New Jersey Performing Arts Center, the state’s foremost such facility, and the 10th anniversary of the opening of the Prudential Center, which has become the nation’s seventh busiest arena, hosting such artists as Bruce Springsteen, Mariah Carey, and Celine Dion. “Newark has always been home, but also, it has always been an absolute cultural gem and the birthplace of so many talented artists and brilliant young people. So I’m not surprised to see the incredible impact that the arts have on Newark as a whole and where we’re going as a city,” said Mr. Glover. Mr. Glover, a dancer, choreographer, actor and Newark native, gained fame as a child prodigy and set a record as the youngest person ever to receive a scholarship in the Newark Community School of the Arts. Before he was a teenager, Mr. Glover starred in the leading role of the Broadway musical The Tap Dance Kid. Mr. Glover went on to work with dancing greats Gregory Hines and Sammy Davis, Jr., and among his credits are starring roles in major motion pictures like Jelly’s Last Jam, a role for which he made history as the youngest ever recipient of a National Endowment for the Arts grant. He also holds the credit as the dancer and co-choreographer behind Mumble the penguin in the Disney film Happy Feet. Mr. Glover earned a Tony for Best Choreographer for the Broadway musical Bring in ‘da Noise, Bring in ‘da Funk, which he also starred in. 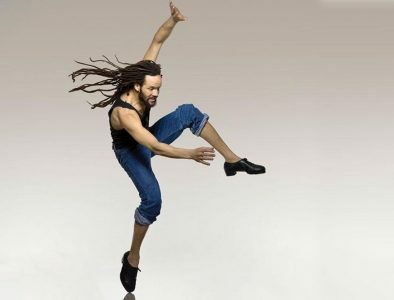 Currently, Mr. Glover serves as NJPAC’s Dance Advisor. The Arts & Economic Prosperity 5 study was conducted by Americans for the Arts and supported by The Ruth Lilly Fund of Americans for the Arts. For a full list of the communities who participated in the Arts & Economic Prosperity 5 study, visit www.AmericansForTheArts.org/AEP5Partners. About Newark Arts (formerly Newark Arts Council): Newark Arts’ mission is powering the arts to transform the lives of those who work, live and play in the great city of Newark, New Jersey. Established in 1981, Newark Arts was created to advance and expand the resources and offerings of arts and cultural organizations in the great city of Newark, New Jersey. Newark Arts provides leadership, direction, and technical assistance through partnerships with Newark’s many artists, arts administrators, community organizations, community development corporations, planning groups, economic development agencies, and government agencies as well as the general public. For more information, visit www.newarkarts.org.